Mysskin also confirmed that the Thupparivaalan sequel will have a more complex script. During a recent interaction with a leading website, director Mysskin confirmed that a sequel to his recently released and critically acclaimed ‘Thupparivaalan’ is indeed on the cards. He went on to add that the next part is going to have a rather complex script. “This is the 1st part of Thupparivaalan and I only trying to establish the Kaniyan Poongundran’s (Vishal) character. So I have started with a very simple script. Probably I could think of a more complicated script for the next part. Part 2, 3,4,5, I am going to direct all these. Even say I might even make part 10 or 20 too. I really wish to work with ‘thambi’ (Vishal) more. Even he wants to collaborate with me,” he added. Well, that is quite a nice revelation and we are sure that it will create quite a buzz amongst fans. On a related note, ‘Thupparivaalan’ is a detective-thriller and features Vishal in the role of a stylish investigator. Released last Thursday, it received rave reviews thanks to its impressive screenplay and effective performances. Besides Vishal, it also features Andrea Jeremiah and K Bhagyaraj in the lead. Interestingly, a few days ago, Vishal had said that ‘Thupparivaalan’ is similar to Sherlock Holmes and is a fist of its kind film for Kollywood. “The film is a detective thriller, something on the lines of Sherlock Holmes. It’s like Jai Shankar’s Tamil and Krishna’s Telugu detective movies. Perhaps, this is even a first-of-its-kind in Tamil cinema,” he had added. 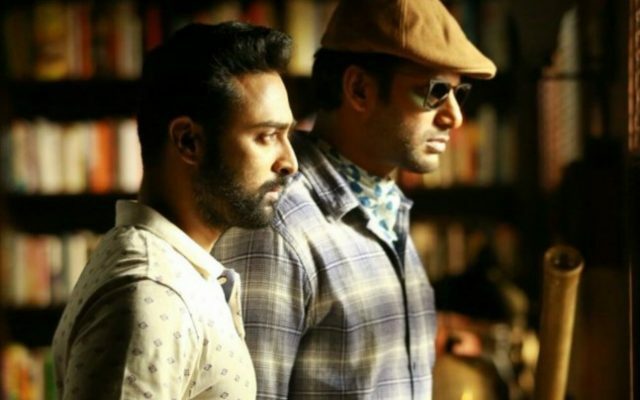 So, did you like ‘Thupparivaalan’? Comments, please! a gripping tale, best of MYSSKIN after PISAASU..!